Dieppe Raid Training in Balsdean? No. 3 Commando returning to Newhaven after Dieppe raid, August 1942. By Lt J H Spender (War Office official photographer) (IWM # H 22588) [Public domain], via Wikimedia Commons. The Dieppe Raid – 19th August 1942 – was one of the more tragic episodes of the Second World War. It involved 5,000 Canadians, 1,000 British troops, and 50 United States Army Rangers. 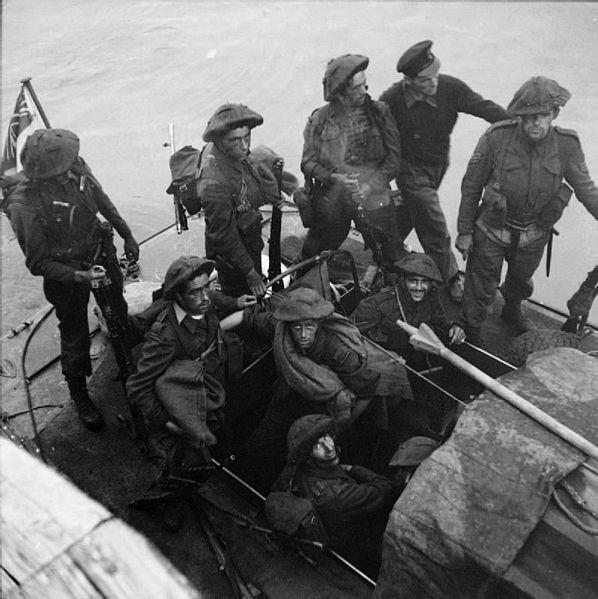 3,367 Canadians were killed, wounded or taken prisoner, as well as 275 British commandos. The Royal Navy lost one destroyer and 33 landing craft, suffering 550 dead and wounded. The RAF lost 106 aircraft. Of the 29 of 54 Churchill Tanks which managed to land, all were lost, and all of their crews either killed or captured. Much has been written about the raid, its planning, its successes and failures, and the lessons learned. I leave it to others more knowledgeable than I to comment on these. My own interest is in the history of the now deserted Balsdean Valley (at the centre of the No. 3 Military Training Area). Most references to this WW2 training area state that Canadians used it for Dieppe Raid training. On the highest ground, just inside the training area’s boundary, was the remote Newmarket Farm, an isolated farm labourer’s cottage and barns where my mother’s family had been living since 1938. Her oldest sister remembered a very nice officer who was billeted with them, probably in 1941. The Newmarket Farm cottage was the birth place of my mother in April ’42. The army probably requisitioned this area May 1942, when the farmer they worked for – at Balsdean itself – was given just 2 weeks notice to leave. However my mother’s family believed that they may have stayed on till October ’42. Dieppe Canadian War Cemetery. By Labattblueboy (Own work) [CC BY-SA 3.0 (http://creativecommons.org/licenses/by-sa/3.0 )], via Wikimedia Commons. Family speculation is that they may have accommodated an unknown Canadian during his training for a mission from which many did not return. Yes, I now know this is highly unlikely, but is it possible that this family story has a grain of truth? 20 May 1942 Training for the raid begins in England. Canadian and British troops train for more than two months on the Isle of Wight practising landing and coastal attacks for the raid. 07 July 1942 Operation RUTTER is cancelled. Due to a number of factors, in particular the unfavourable weather reports, the raid is cancelled. The force chosen by General Roberts, commander of the Canadian troops, to take part were to consist of 4th Brigade (Battalions from the Royal Regiment of Canada, the Royal Hamilton Light Infantry, and the Essex Scottish ) all from Ontario. In addition the 6th Brigade (French Canadian Fusiliers Mont-Royal from Quebec, Camerons from Winnipeg, and the South Saskatchewan Regiment plus the 14th Tank Battalion – “Calgary Tanks”). On May 20th all infantry units were stationed on the Isle of Wight which was sealed off and a programme of rigorous training initiated. […] Operation Rutter was cancelled on July 8th. Troops were disembarked and were dispersed. After much debate, on 27 July 1942, the Chiefs of Staff Committee directed Mountbatten to recommence planning for a raid on Dieppe. I have yet to read the above named thesis in its entirety, but it looks like an excellent resource. So what happened to those dispersed regiments – between July 8th and August 18th – which were to participate in the quickly remounted Dieppe Raid code named “Operation Jubilee”? Newhaven featured significantly in this operation. Fifty-nine landing craft sailed from Newhaven in the course of an hour. Fourteen LCTs carrying the 14th Canadian Army Tank Battalion, and forty-five LCTs carrying the Camerons of Canada and No. 3 Commando. The strategy, tactics and logistics of mooring fifty-nine landing craft in the harbour, embarking the equipment and personnel, and departing harbour within a limited time slot to rendez-vous with vessels from Portsmouth, Shoreham and Southampton must be admired. Numerous training exercises and inspections highlighted 1941. By July the Camerons were in the Newhaven area of the channel coast near Sussex, in a coastal defense role. On 19 August 1942 the Camerons took part in a large-scale raid on the French port city of Dieppe. The Camerons landed at Pourville Beach. Their objectives were the Dieppe-Saint Aubins airfield; battery 265 at Rouxmosnel-Calment and a suspected German divisional headquarters at Arques-la-Battaile. In March 1941 the regiment moved to Camp Borden, becoming part of the First Army Tank Brigade and in June 1941 sailed for Great Britain. Matilda tanks were initially used on the Salisbury Plains, but these were replaced later in the year by the first manufactured Churchills. The overseas unit trained on various vehicles in Canada and the United Kingdom, and in August 1942 took the Churchill tank into battle for the first time at Dieppe. Both Seaford and Newhaven are just a few miles away from the No. 3 Military Training Area. So it is perfectly possible for these two regiments to have trained in the Balsdean Valley, but this training would not have specifically been for the Dieppe Raid. Also, preliminary research indicates that other Canadian units were billeted in the nearer villages of Woodingdean and Rottingdean and these were not involved with the Dieppe Raid. 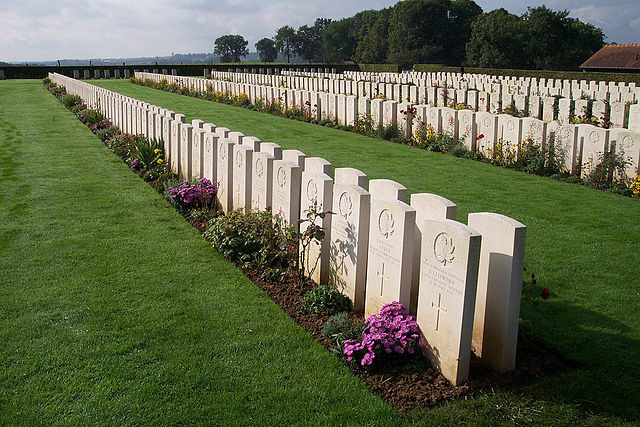 Therefore, if a Canadian Officer was billeted with my mother’s family in 1942, he was most likely not involved in the Dieppe Raid at all, though he may well have had contact with those that did. If anyone is able to help with any information I would love to hear from them. You would be fully credited for any contribution – however small.